My goodness this bike has had a weird birth! But I’m glad to say it’s finally up and running. Back in September I made the decision to buy myself a rowdy hardtail to replace my old Kona Big Unit and my old 2007 Orange Five, both of which I was in the process of selling. Both suffered from old skool sizing and I found them far too cramped compared to my YT Jeffsy – it was time to modernise myself. 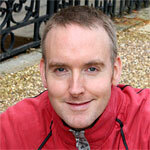 I also had a Ride-to-Work voucher which frustratingly tied me in to Evans Cycles. To be honest, I couldn’t see anything on their site that I actually wanted to buy (no disrespect to Evans). What they did have though was a 2018 Pinnacle Iroko 2 hardtail. It had a Boost-sized Rock Shox Revelation fork on it, set to 120mm of travel and the rest of the bike wasn’t really a bad spec either. 1×11 SRAM GX shifting, 27.5″ WTB wheels and tyres, a bolt-thru Boosted rear end and of course that fork. With the Ride-to-Work discount it didn’t work out too expensive either. So I bought one with the intention of using it as a donor in the back of my mind. I suppose I could have kept it anyway. 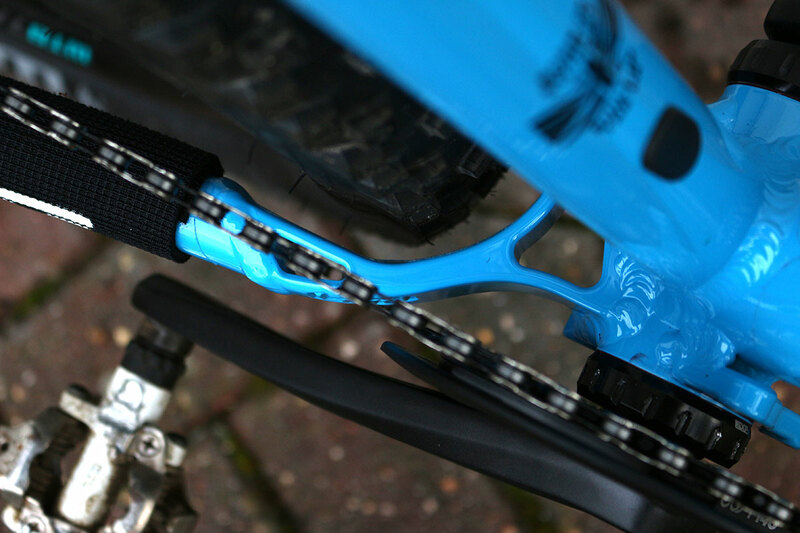 It was quite a nice frame in a funky turquoise kind of way and the bike has had lots of positive reviews in the press. I just felt it was a bit too middle-of-the-road for me as I had my YT Jeffsy for my everyday riding. The idea behind buying a hardtail was a contrast to that really. So I had a bike with brand new bits that I hadn’t used. I had some cash from bike sales. After a lot of looking and thinking, I decided to bite the bullet on a Bird Zero AM frameset. Last year Bird updated the Zero AM to Boosted Mk3 form with big tyre clearance, although the fact it was also available in bright blue may have been a key factor! I know what you are thinking. I hadn’t even ridden a Bird Zero AM at that stage! That is quite true… but my experience with buying the YT Jeffsy online was very positive and looking at the numbers on the Bird Zero AM, I felt quite confident. The Bird has a longer wheelbase than my 29er Jeffsy but in Bird’s Medium-Long sizing the Reach + Stem length figures come in at about the same, even if the Effective Top Tube on the ML size Bird is 24mm longer. Basically, the Bird is longer and slacker than my Jeffsy which is exactly what I’m looking for – at this stage I’m feeling confident having probably been guilty in the past of not paying too much attention to bike geometry. Over Christmas I finally started to bring the project together. I had the Bird frame, I’d finally sold all the bits of old bike and so I spent a day carefully fitting clear vinyl to the Bird Zero frame to protect it’s fabulous Atomic Blue paint. After that, there was another pause. It was damn cold in the garage and I’ve been busy with other stuff. The hold up was adjusting the fork length to suit the new frame which is not something I’ve done before. Thanks to Jem’s help this past weekend, the Revelation fork is now 150mm travel rather than 120mm and it’s sporting the latest DebonAir spring. Which meant I was finally able to build up the Bird Zero AM and get the never-used Pinnacle Iroko frame onto eBay. The end result is awesome. I’m really pleased with the set-up even though there are a few key changes I’m likely to make over the next few weeks. The handlebars from the Pinnacle are a very cheap item and a bit narrow at 740mm – given this is a hardtail, maybe some carbon bars would be useful. 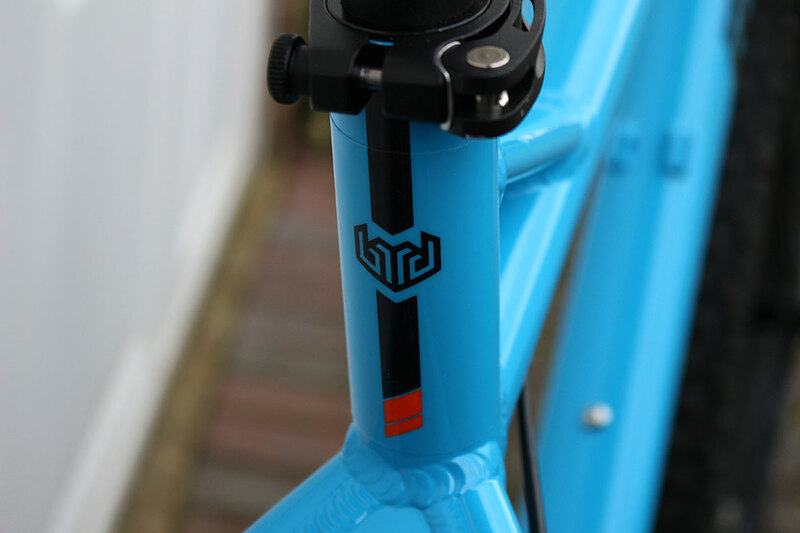 The short 35mm stem will probably be swapped for something like a 50mm item too. Similarly the grips are not my first choice – another set of Ergon GA3 grips will most likely turn up soon to sort that. Finally, a dropper post is the most glaring omission at this point and that’s something I’ll need to think about so I make a good choice – it won’t be a Reverb, put it that way! Bird claim the frame will take 2.6 width rubber (which I take with a pinch of salt – 2.4 is more realistic) which means there’s a lot of scope for experimentation in the months ahead too. For the moment I’m runnig the 2.3 WTB Vigilantes from the Iroko. But first things first… it’s time to ride the damn thing! Nice. There is less tyre clearance than I would have expected to be honest. The 2.6 rubber I have is actually 2.5 & 2.4 wide in reality but it looks a bit tight at the bottom. Not sure you are meant to run a longer stem? I’ll stick with these tyres for now (just need to convert to tubeless) – I’m quite interested to see what the Vigilantes are like. They tend to be relatively heavy in the larger sizes but if they are any good I might try a 2.5 on the front. Tyre clearance is OK for the 2.3/2.4s, Bird say bigger will fit but your paint *may* suffer. I have no plans to run bigger, especially in winter conditions. A Large frame would have an extra 5mm length on the chainstays though. I also checked the stem issue – my height is right on their cut-off between Medium-Large and Large. I didn’t want a hugely longer bike (the wheelbase is already 1201mm, which is 23mm more than the Jeffsy), so confirmed with Bird that this would be fine with a 45-50mm stem before buying. Bear in mind the Jeffsy reach is 27mm shorter with a 60mm stem, so with the 35mm stem on the Bird it’s within 8mm of the Jeffsy. Very nice, looks nice and rowdy. I have a renthal fatbar, carbon lite lurking in the garage. It is 740 only but very nice with 6 degree rise. Hi Matt. 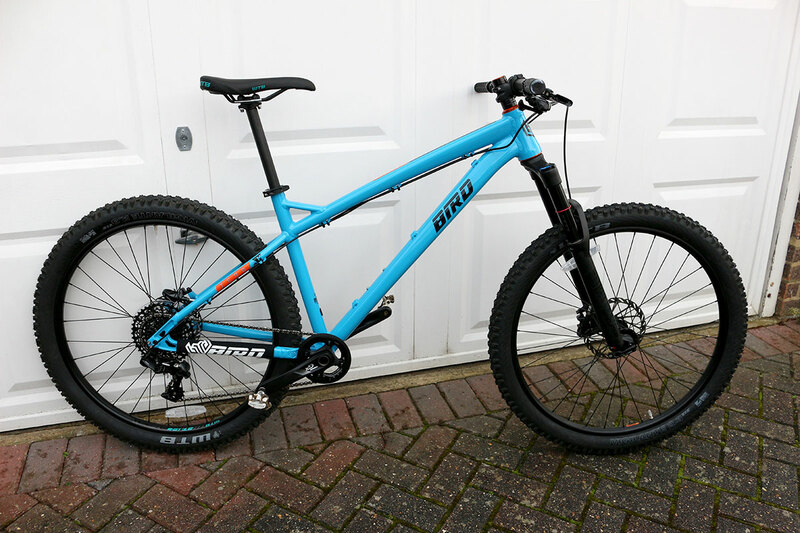 Looks very nice – hopefully I’ll see it out on the trails soon. Good heavens, is that a bash ring? What decade is this bike from? It is indeed a bash ring Elliot – that’s what the donor bike came with (a Sram GX 1000), so that’s what is on there. I still have my pink ring if I get bored too! TBH, there’s a few components that will be gradually upgraded over time and the crankset is bound to be one of them. Despite your harsh words, I’m surprised no-one has yet picked up on the reflectors, the pie plate and the number of spacers on my head-tube! Christ, remedial action required urgently. Never mind the bash ring…sort out the reflectors and dork disc! Nice looking bike but goodness me that block paving needs cleaning! I did clean it once Kev… the trouble is is then takes what little sand remains after all the ants have pushed it up through the cracks… I hate block paving. Fine if you want your driveway to look like an office car park but a PITA all other times. I would prefer a nice bit of tarmac with red brick edging but I keep spending my money on bikes! I agree ‘manscaping your driveway’ is not something those of us in gainful employment should worry about. “Manscaping your driveway”! Could be misconstrued as something quite different if not used in the correct context. Anyway, 35mm stem is bang on for current thoughts on steering, nice and sharp with reduced offset forks. It’s crazy but the difference between my 760 bars on the Jeffsy somehow makes these 740s feel tiny. 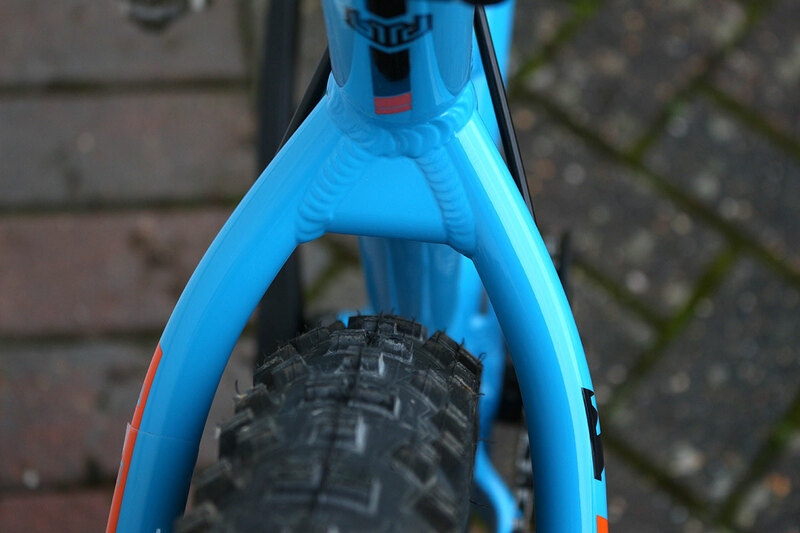 That perception is probably affected by the 35mm stem that’s on there now. I checked with Bird before I bought the bike and they thought it was fine to run a 50mm stem. I could have gone for the Large, but didn’t want a bike sized for someone up to 6′ 4″. With a 50mm stem the effective top tube including the stem length gives me a 680mm cockpit, versus 676mm on the Jeffsy but the reach plus the stem is 17mm longer. It should be feel a bit more spacious as a result without the thing feeling like a barge. It’s possible I’ll get the stem swap before I ride this properly, I’m not convinced the current bar/stem combo works. Needs some juicy flats or dual sider’s!